The Chief Executive Officer of the Ghana National Petroleum Corporation (GNPC), Dr Kofi Kodua Sarpong, has rejected allegations made against him by a group calling itself Strategic Energy. According to him, those claims are all a ‘pack of lies’ fabricated to tarnish his hard-won reputation in the media. Dr K.K Sarpong said this in a WhatsApp response, following a statement the group issued and signed by one Kojo Dankwah, who is a Senior Research Fellow with the group. The group accused Dr K.K Sarpong of employing a gentleman with the staff description as Driver/Security unilaterally without going through due process. The group also accused Dr. K.K Sarpong of engaging in some activities that amounted to conflict of interest. “With the Economic and Organised Crimes Office inviting directors of the defunct banks, it is with much worry that Dr Sarpong is still at post. Dr Sarpong is a director and shareholder of the defunct Royal Bank where he was part of transactions that led to its collapse. 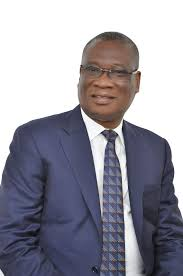 “It is on record how Dr Sarpong transferred US$7.2million to Royal Bank in order to make their books look good under the guise of a property purchase from Global Haulage, which, in itself, is a matter of conflict of interest which the special prosecutor must take seriously. “It is known to the forum that Dr Sarpong, through his company Fuel Trade Company Ltd, owns 2% of Ghana’s oil block operated by Aker Energy and is ready to secure the extra 10% owned by Exploco illegally,” the statement alleged. They warned that the poor leadership style of Dr Sarpong, which is already causing low morale in the corporation, is likely to lead to unproductivity if it is not immediately addressed. However, responding to the allegations on behalf of Dr Kofi Kodua Sarpong on Accra based Oman FM, Dr Baah Nuako, who is the Director of Sustainability at GNPC, described the allegations as palpable falsehood. He could not fathom why ‘certain faceless’ persons would spew lies and throw them into the media to tarnish the image of the corporation and the CEO. He refuted the claims that Dr Sarpong had unilaterally employed a driver and paying him so much, while the chief driver at the corporation is being paid less. “Any person who is recruited into GNPC will follow GNPC Human Resources (HR) remuneration process, so Dr Sarpong doesn’t determine how much you’re paid. “Dr Sarpong has never been a shareholder of Royal Bank. He used to be the Chairman of the board of the bank. He resigned as far back as September 2016, two years before the bank had a problem. So, it’s a fabricated story,” Dr Baah Nuako stated. 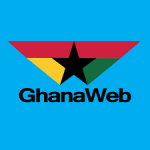 GhanaWeb is a vertical portal publishing everything related to the country Ghana. Aside news from Ghana, we offer background information, opinions, the facility to listen to over 200 Ghanaian radio-stations, classsifieds, a social network for Ghanaians and many more.